This lovely headband measures approximately 1 inch wide. The silk velvet is lined with crinoline to give it structure, and help keep its shape. Made on a flexible headband so you can form it comfortably to your head. 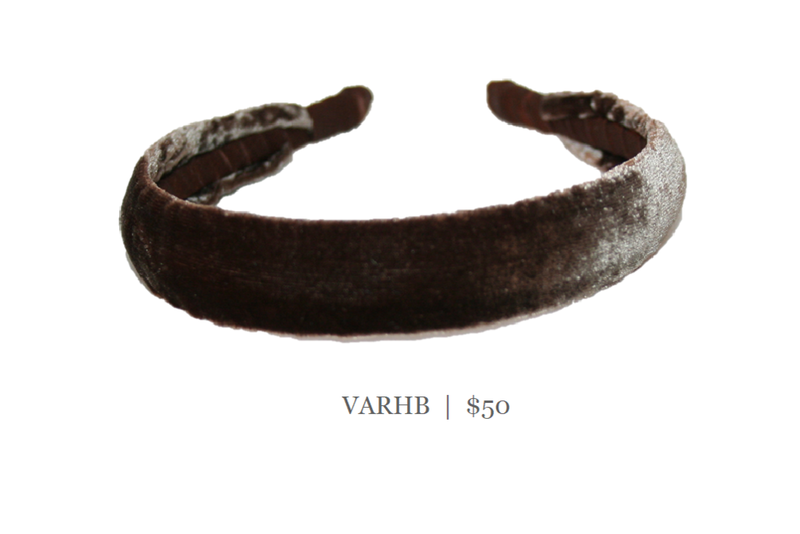 This piece is so easy to wear, comfortable, and the velvet helps hold it firmly in your hair without slipping. Great for fine hair.